Luke Potter is an artist we’ve supported for some time now since he first impressed us with his self-released single Do You Love Me (Yet)? back in 2015. 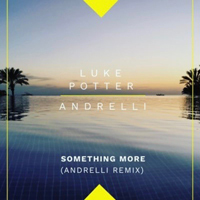 Now signed to Family Tree Music / Sony in Sweden thanks to our early RotD’s, the Weston-super-Mare-based singer-songwriter rereleased his single Something More (which we featured), as a remix by Swedish DJ and producer Andrelli through his new label last year. The track has now racked up over 17 million streams with its laid back tropical house vibes and his follow up, It’s Easy, released last Friday continues in this vein. Co-written with his now mentor and Ivor Novello award winner Jörgen Elofsson (Paloma Faith, Robyn, Britney Spears, Leona Lewis, Rhys), the track is a beautifully positive and sun-drenched pop anthem that has already been added to several Spotify editorial playlists, including Pop Right Now, Get Your Hits Together & New Music Friday Sweden. With a stunning video filmed in Morocco to be released soon, this infectiously bright and captivating slice of pop is primed to follow the success of Something More. 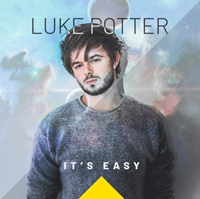 British singer-songwriter, and friend, Luke Potter, has just released his brand new single It’s Easy, out now on Sony Music! This upbeat and positive track was written by Luke and successful songwriter Jörgen Elofsson. It’s Easy follows his previous single, Something More, and continues the sonic direction of its predecessor, moving towards what we could call a mix between pop and tropical house. It’s a smooth, super infectious track and it just takes me to those warm summer days! Whenever we sit down with any of our industry contacts, we’re asked “Is there one young musician writing great pop songs that should be on my radar right now?” Luke Potter is who you need to be talking with. We first featured him in summer 2015 and twice earlier this year, most recently with his atmospheric radio-friendly ballad Should I Stay? But this latest release strips everything back to a simple click track, acoustic electric guitar, and bass. It gives the personal lyric plenty of room to cut through and really connect with the listener, as he contemplates life, his hopes, dreams and ambitions for the future. Crafted in the style of global hits like Bieber’s Love Yourself and James Arthur’s Say You Love Me, this song had its premiere on Radio 2’s Good Morning Sunday yesterday (October 30). There’s more to come, as he continues writing with Swedish collaborators, and has a secret band project launching in January. This has that on-trend chilled-out sound that consumers everywhere are clamouring for, especially in these uncertain times. It’s simple, but oh so effective. Luke Potter gives an ethereal take on his own song with the video for “Something More”. The video actually gives the aesthetic that the song is a musical journey, which it is, because, as the title suggests, Luke is on a quest in his musical journey to find “Something More”. And that is the sign of a true talent! Luke Potter’s impressive vocals are soundtracked to a chilled out tune. Reminiscent of David Gray’s ‘Babylon’, the single is an ideal track for unwinding. ‘Something More’ is the mellowed out new single from the excellent Luke Potter. A young singer-songwriter with a big future, Potter has impressed the bigwigs at Radio 2 enough that he has been showcased by their music tastemakers, so you can expect to hear a lot more of him on the airwaves. In the meantime, you can head into the weekend by enjoying the mesmerising video below, and pre-ordering the single on iTunes. “DIVE IN TO THE NEW HEART FELT TRACK ‘SOMETHING MORE’ BY LUKE POTTER – …brings us to a story written by Luke himself and two friend Marcus Lingberg and Hjalmar Wilen and once you hear the lyrics you will hear how much passion has been put in to it. ‘Something More‘ starts off with a ridiculously infectious guitar riff, a riff that runs throughout the whole track….. and believe me once that’s crawled its way into your brain it’s never coming out! The song amps up nicely in the middle section with some tuneful electric guitar which works well in adding another texture. Luke’s laid back vocals are rich, soulful, emotive and elevate the passion in relaying the message of the song. Although it’s a fairly chilled out relaxed song there’s a pulsating beat throughout so you’ll find yourself tapping those toes and nodding your head along to it. I love the song for its simplicity and the fact it leaves me with a warm and happy vibe. As for the video…. all I’ll say about that is its pretty genius and fits the song perfectly! There is no doubt this is a very personal, deep and meaningful track to Luke and he certainly puts himself out there and gives the listener an intimate peek into his life…. and for me that’s what great songwriting is all about. I honestly can’t recommend it enough! ‘Luke Potter from Somerset in England is an accomplished singer songwriter who is armed with the talent, ambition, big dreams and determination to make it huge in music. His songs are meaningful, passionate and sincere about the trials of growing up that we can all relate to and connect with. His latest single ‘All the Same’ is one such song, it’s bright, bouncy and punchy filled with infectious hooks and riffs! Last time we featured young UK singer-songwriter Luke Potter in June 2015, we noted that he was an artist who wasn’t afraid to wear his mainstream pop ambitions for all to see. That previous track Do You Love Me (Yet)? laid the groundwork for an even better set of solid songs that Luke has been sharing with us over the past few months. This one really stood out for us and we’re delighted he’s chosen it to be his latest release. We noted last time that Luke’s voice has that kind of quality and familiarity to help his work standout on radio formats worldwide. Having been privy to what he has to come in the following few months and with live shows being lined up soon for the UK and US, 2016 deserves to be his year. Unashamedly mainstream and beautifully crafted, we know we’ve found a quality song with durability and potential global appeal right here. Flying the British flag, this talented young artist Luke Potter is proudly setting the world alight with the release of his brand new single ‘Ready Or Not’. Luke describes this catchy track as “pop rock with a touch of funk too”, what a great combo! The song was reportedly written in the artist’s home studio with this also being the setting for the wacky video shoot too! What an awesome way to kick off your weekend, enjoy! Luke Potter is proudly flying the flag for British musicians, establishing himself as a well-regarded and much talked about young artist, setting the music world alight at the release of his ‘So Sugar’ album. But it is his follow up release called ‘Do You Love Me Yet’ that I feel showcases the true dynamic potential and versatility that this artist really brings to the table. The vocal range Luke demonstrates throughout the song is indicative of the talent and maturity that Luke has developed since he began making music. Written with renowned Scandinavian songwriter Maria Marcus, Luke delivers a harmonious and heart felt rendition of the song, a tale of the pain of an unreciprocated love, in a dramatic, almost mesmerizingly hypnotic sonant. His style is eloquent with a meaningful sense of passion and grace. It is quite simply, a beautiful translation of this song. …it won’t surprise me to find Luke’s name on the bill for any number of headline gigs in the coming months. There is an infectious energy all around Luke, not just in his music, but in his character and when you are with him, the air has a buzz of potential in it. His cheerful and quirky nature lift the spirits and give you cause to smile and feel better about the world, and his music has a similar effect. Luke is on a journey, a road that will take him far and wide. I have no doubt that this singer and songwriter will touch the lives of many of us in time, and look forward to the day when Luke Potter will be the reason I head to the ticket office to secure front row seats to his concert. British singer/songwriter Luke Potter has finally released his full length debut album! It is called So Sugar and you can get it now on all digital retailers. On a much softer/introspective side we have songs like Crazy Enough To Try And Change The World and One Day. To me these are the best songs off the album, especially One Day since it is very catchy and has somewhat of an anthemic feel to it. I am really blown away with Luke’s songwriting skills and I am sure the 2nd album will be as amazing as this one. With So Sugar you have the perfect marriage between incredibly catchy melodies and hooks with great lyrics. Definitely an album worth listening to over and over again. Nice one Luke, I’m loving it! If you’re into upbeat pop music than this album is right up your alley. There are some amazing upbeat tunes reminiscent of those warm summer days such as: So Sugar (which is incredibly catchy and fun), There It Goes Again, It’s Ok To Dream and Sadie. Most have upbeat melodies but they all have powerful messages like It’s Ok To Dream which is a personal song about how Luke struggled at school but still had a dream that he could do something in life, and now he’s doing it. So carry on dreaming guys and soon they may come true! Luke Potter is a Brit power popper weaned on the Goo Goo Dolls and Fountains of Wayne, with a caramel tenor like Jason Falkner or Zac Anthony of the Wellingtons, and a supple dynamic similar to his idols. He wears his power pop heart on his record sleeve which features the matinee-idol Luke wangin’ on guitar in front of a wall of green trees, emblematic of his propulsive, optimistic pop rock. “Crazy Enough,” which sounds like a George Martin production with strings, and “Possibility” are optimistic, yearning anthems like Stephen Stills or Janis Ian used to write. “Sadie” hits the sweet spot with a major/minor chord change that snaps you to attention. “We’re Alive” is a driving anthem with synth strings and Christian rock chords — major and un-ironic. The sound is exceptional as you would expect from Bleu, who produces and plays. 4 Stars! Many noticed Luke Potter’s talent early on with his debut EP last year, so he seems poised to break out into the mainstream this year with So Sugar. Influenced by artists like Jason Mraz, Fountains of Wayne, and The Goo Goo Dolls, he has a melodic streak to his music that’s designed to appeal to both mainstream pop fans and power pop fans. The fact that Bleu was chosen as producer here is a perfect choice, you can hear the digital fingerprints over the entire LP. The title track’s buzzing guitar riff leads the strong melody, as the chorus floats along a bed of synths, this gives Luke his rock cred but the rest of the album is strictly pop oriented. “There it Goes Again” is another catchy gem with a “Da-da-da” backing vocal that burrows into your brain. The ballad “Crazy Enough” is full of sweeping orchestration, richly arranged and “Sadie” has a very simple, but effective melody. Potter’s strong crisp vocal is what sets his music apart from the latest “boy band” flavor of the month. The lyrics are also very positive throughout, “Its OK To Dream” is solid advice to any aspiring creative person and “Possibility” mines similar hopeful vibes. Highly recommended. ‘So Sugar’ is a ten-track album filled to the brim with infusion lyrics one after the other. The new release is pop at it’s best with an upbeat and fun feel throughout. ‘So Sugar’ is both lyrically and musically well written and one you should definitely listen too. I mean how can you not like a little bit of pop from time to time and when it’s this good you just have to let it happen, you won’t regret it! The album is truly a diverse and energetic treat for the ears. It has only been a few weeks since the album ‘So Sugar’ was released to iTunes and judging by his Facebook and Twitter following, Potter has been receiving great response from devoted fans and new followers. I recently received my hard copy of the album from the artist and what I discovered is this: here is a very enthusiastic and talented young man who has not only written upbeat and positive music that connects with human emotion and experiences, he is bringing it real to the people each and every day through live performance. He is relatable through his commitment to roll up his sleeves and ‘earn it’ in the same token as those in the industry who have also put in great time and dedication to their art. As a child, Potter grew up being exposed to music being that it was always playing in the home, and he quickly grew an affinity to Bleu McCauley and his music became an inspiration. “So it was a big moment for me to be working with Bleu on this album. Surreal, really…I just really love pop music. He has influenced me greatly,” he said. It is audible to hear Bleu’s ‘Pop’ finesse streamlined with Potters cutting edge lyrical ability in this album and I have to say, it is a treat to the ears. Potter has also recently returned from Stockholm where he co-wrote with Maria Marcus (Writer and Producer who has also worked with Train). In addition, he has toured throughout the United States and Canada branching out and co-writing with other brilliant artists in the industry. His ‘Starstruck’ moment was when meeting with Justin Timberlake in Orlando, Florida while connecting with his management team Wright Entertainment Group (WEG). After careful observation, Potter said, “I really think he has to be one of the hardest working artists in the industry and I have been inspired to aspire to the same. I am anxious to get out more and grow and see where the music takes me once the album is released,” he said. There is no doubt in my mind after listening to the album this last week Potter has accomplished what he has set out to do: to bring his message of positivity and inspiration to the masses. This album holds strength in that message and I am certain that this is only the beginning of what is to come from this brilliant young Pop artist. Audiences in the States have become familiar with the pop sound coming out of England and the UK with boy band One Direction, singer-songwriter Ed Sheeran and dance pop act Sam Smith. But a new voice from Weston-super-Mare, Somerset, UK has a pop-rock sound so sweet that music fans are destined to notice. Luke Potter’s style resembles Imagine Dragons with a boy-band feel, though the solo performer cites influences like Jimmy Eat World. That inspiration is certainly present in the title track to his 10 song LP So Sugar, with the pop-punk presence that is also similar to New Found Glory. So Sugar brings the pop hook into a driving alt-dance tune perfect for teen romance film or house party. Tapping into the pop-emo style of Dashboard Confessional, There It Goes Again bleeds heartbreak with an upbeat melody. The contrast in melodic representation with a lyrical downside incorporates some excellently placed textures of a drum line and dance effects. A stark transition from the previous tracks, and illustrating a powerful songwriting gift in the young performer is Crazy Enough. This song is more than a hopeful ballad for a bright future. Showcasing a vocal range not exhibited in other songs, Potter reveals more of his ability to connect with more than one type of music fan. Finally releasing his first FULL length Album Luke Potter has proved that he is an amazing singer and writer. This is an album you should be getting! Re:’Crazy Enough To Try And Change The World'(from ‘So Sugar album) by Luke Potter… we love the track! At long last, Luke Potter’s first official full-length album has been released onto the world at large, and it was surely worth the wait. Pure power pop rock complete with wondrously infectious choruses, the ten cuts featured on So Sugar would sweeten up the day of even the most sour of music critic. Based out of the UK, it won’t be long before the world discovers Luke Potter. Managed by Wright Entertainment and Orrigami Entertainment, the star-making machine is in place for this massive talent ready to break out into the big leagues. The disc kicks into supersonic gear with the rocking refrains of the title track So Sugar – instantly hooking the listener in for a stratospheric ride into the heart of an up-and-coming singer / songwriter. There It Goes Again will remain in your head for ages with its delightful melodies and Luke Potter’s expressive vocals. Crazy Enough is a gorgeous ballad sure to captivate the senses of hopeless romantics and dreamers all over the world. Then it’s back to pop rocking when Sadie shows up to joyously set your imagination in flight. A definitely highlight on So Sugar is the poignant One Day, where a lush musical score and Luke Potter’s vividly emotional vocals render this piece an absolute standout. One Day would be the classic any artist who hope to write, and it shows Potter’s wonderful knack for delivering a truly timeless song. Terrified exhibits yet another side to Potter’s songwriting, complete with pensive lyrics and a magnetic chorus. It’s Okay To Dream is another top-notch track destined to become a Luke Potter fan favorite. “I want to wake up every day in a different place, maybe today LA,” sings Luke Potter with a wide-eyed wonder on the spiraling Possibility. Chance Worth Taking is a wistful track about navigating through the grand puzzle known as love. And then closing out So Sugar on a gloriously positive note is the magnificent We’re Alive, a track that absolutely soars into the stratosphere. The production work on So Sugar is first rate, featuring the superlative work of the noted Bleu (Demi Lovato, Jonas Brothers) sending the material into even greater heights. Be sure to check into So Sugar by Luke Potter, and catch up with rising star. With an album so exhilarating filled to the brim with radio friendly compositions, expect to see Luke Potter signed to a major label any day now! It is hard to believe that “So Sugar” is Luke Potter’s debut CD. Potter has mastered the pop genre with inspired writing, clever hooks, brilliant vocals – wrapped in a well produced experience. Luke Potter’s debut album, So Sugar, is pure pop pleasure, combining youthful enthusiasm tempered with extremely well produced songs that appeal to all ages. Potter writes his own songs, plays guitar, and, most importantly, is passionate about what he does. It shows. “We’re Alive” is a pumped up song that could easily fill arenas with the crowd pumping their fists and singing along– it features a thumping beat and gorgeous strings, topped off with Potter’s solid vocals. “It’s Okay To Dream” tells the listener exactly that, encouraging people to be exactly who they want to be. His songs are catchy, as if The Beach Boys, Green Day, Oasis and Blink 182 morphed together to make an appealing new artist for 2014. Influenced by Jimmy Eat World, Goo Goo Dolls and Jason Mraz, Luke Potter’s music combines great grooves, guitars and an appealing British accent on So Sugar. Luke Potter’s album “So Sugar,” is exactly just that—sweet to the ears and it makes you want to get your dance on. The signer-songwriter is always motivated and connects with his fans.Ladies are falling in love with his accent and brilliant song writing skills. And if you haven’t given your-self a listen you can now download his new album on Spotify. You can also view his “So Sugar,” YouTube video that has girls screaming “omg omg omg omg.” Well, Luke Potter you are well on your way! Great job on the album and the positive lyrics you send into the world. Art doesn’t come by chance. It comes by hard-work and driven people. “… the three heartfelt songs found within ‘One Day’ are sure to jangle within your head and inspire repeated listening for ages to come! The combination of Potter and Bleu has presented a stunning work of pure pop perfection that is not to be missed. Judging by the three wondrous tracks heard on the One Day EP, expect the future to be very bright for this massively talented singer / songwriter. It will be exciting to hear what exquisite tunes Luke Potter has in store for the world at large in the months ahead. The tracks feature Bleu (playing lots of things), Joe Seiders on drums and Taylor Locke (of Rooney) played guitar solo on Breathe In. “When I watched that video (‘Chance Worth Taking’) and heard the music in it, my impression was that I’d just been exposed to a one-man Jonas Brothers. Sounds like Jonas Brothers? Check. Looks like Jonas Brothers? Check. Luke Skywalker in the name? Check. Harry Potter in the name? Check. “England’s Luke Potter is a young singer-songwriter with a pop/rock sensibility. His songs are reminiscent of artists like Keane, Jason Mraz, and Fountains of Wayne. One Day: The Bleu Session is a nice introduction to a young singer-songwriter for those that have yet to hear of Luke Potter. He certainly shows his youthfulness on this EP, but he also shows maturity as well”. “We’re Alive” was the song title, and after listening to it, my inner DJ instincts kicked in once again, and I just knew it could become an instant hit with Top 40, Alternative Adult and Rock fans. You can find Luke’s smash hit “We’re Alive” on the Xmix Mainstream Rock May 2012 Issue and soon to be released Lenny B Dance Remix on Xmix Dance Series. Promo Only will be releasing the radio version on the Mainstream Radio July 2012 issue, the Lenny B Dance mix version in the Promo Only Club Series, and the music video on Express Video and Hot Video very soon. Keep an eye on Luke Potter and his career. There’s a guy named Harry with the same last name who conjured up some pretty big success! “It’s always heartening encountering young music geeks embracing the foundations of hooks ‘n melodies and beautifully crafted vocals and Luke Potter appears to be primed to deliver some great work for power pop fans but, as you’ll discover when you download the song below, this is the kind of music that naturally expands outside of our little universe here quite nicely, thank you.